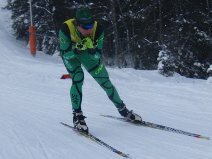 This last weekend We left Davos (SUI) for a few days racing in Seefeld (AUT). 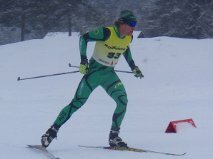 A skate sprint, 10km classic and a 10km skate. I opted just to race the sprint and 10km classic with the intention of being fresher for the World Cup this coming weekend. Both races were solid for me although I was hoping for a little more in the Sprint. I wasn’t fresh and ended up 10secs back over the long 4min course. Our focus is now on this weekend being one of Australia’s Olympic Benchmark events. Time to be going fast! 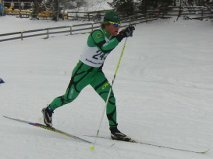 This entry was posted on December 9, 2013 by Phillip Bellingham XC Ski. It was filed under Uncategorized . Best of luck this coming weekend. Love the snow falling!! Have checked out your schedule and I think it’s going to be hard to catch up. I am going to Dobiacco, Seefeld/Leutasch etc.., but all at different times to you. Just heading off for 2 weeks in Northern Italy(Aosta Valley). Think I will ride the Tour de France next year because every cheating cyclist will be banned.